Have you seen these commute visualizations created by Anthony Smith? Fight Gridlock is happy to see this graph, and we commend Anthony for his amazing efforts to help the public interpret data in meaningful and interesting ways. Based on the 2016 Census, the percentage of Brampton residents working in Peel has increased slightly to almost 67%. In terms of regional transit connections to neighbouring municipalities and how they compare to Brampton council’s “top 3 priorities” from 2013 — Queen St. service to Vaughan, GO train service to Toronto, and LRT into Mississauga — actual commute patterns of Brampton residents might be indicating that these priorities are worth revisiting. Source: Statistics Canada, 2016 Census of Population, Statistics Canada Catalogue no. 98-400-X2016325. As always, we appreciate data (and maps! ), and will continue to advocate for factual, evidence-based decision making from our elected representatives. 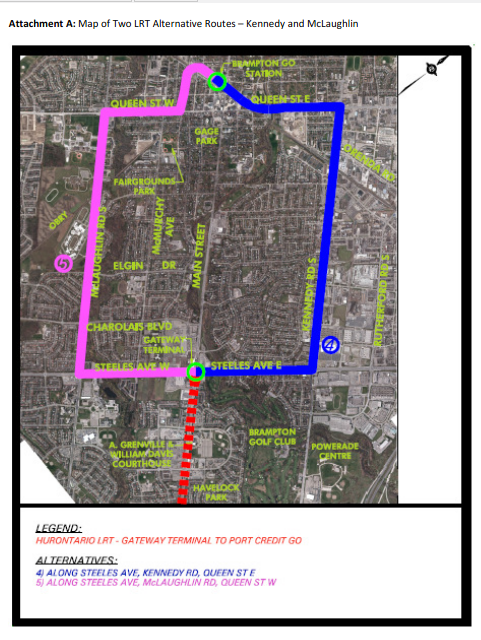 When the LRT is opened on Hurontario Street, it will be safer and more pleasant for pedestrians and cyclists.